The October 19, 2019 Wheaton Halloween Flea Market welcomes Branscombe Richmond! Richmond was born in Los Angeles, California, the son of Leo C. Richmond, an actor and stuntman. He appeared as a policeman named Harker in the pilot and all 10 episodes of Hawaiian Heat in the fall of 1984 on ABC. In the fall of 1986, he then appeared as another cop, Sergeant Luke Halui, in all 13 episodes of Heart of the City. Probably his most well known and prominent television role was in 1990s hit syndicated television series Renegade as Bobby Sixkiller. 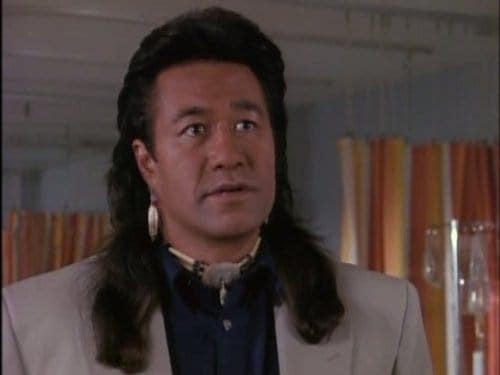 He also appeared in a minor role as Moki in the pilot episode of Magnum, P.I., before the role was taken over by another actor for the series (he played several bad guy bit parts in later episodes). His many other television appearances include series such as Walker, Texas Ranger, The A-Team and The Highwayman. He has appeared in Star Trek III: The Search for Spock, Action Jackson, Journey 2: The Mysterious Island, Aces: Iron Eagle III, Harley Davidson and the Marlboro Man, Christopher Columbus: The Discovery, and in The Scorpion King, as Mathayus’s half-brother. He was inducted to the Motorcycle Hall of Fame in 2003. DuPage County Fairgrounds, 2015 Manchester Rd, Wheaton, IL 60187, October 19, 2019, 3pm to Midnight. All guests subject to change or cancellation without notice.